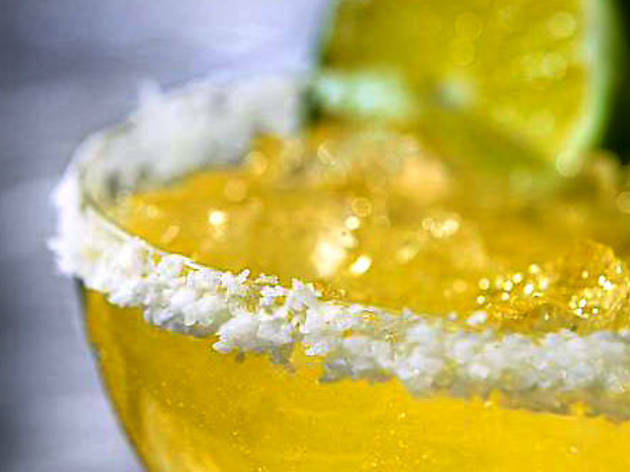 Call it the margarita nanny: That sodium-encrusted rim tells all the other flavors how to behave. Tippling Bros. cocktail consultant Tad Carducci, who engineered the cocktail menu at Mercadito (108 W Kinzie St, 312-329-9555), declares he’s “one of the purists” when it comes to salt on the rim of a margarita glass. “It plays a crucial role. Salt is a catalyst for other flavors.” Okay, we follow so far. But then things get geeky. “Salt creates a chemical reaction that turns bitter flavors into sweet flavors—actually bringing out the sweetness,” he explains, but it “has to be a textural element as well,” which is why it lines the rim, working its magic sip by sip. Even better, salt also tempers that sweetness and “allows the flavors behind it to stand out,” Carducci says. Who knew salt was such a renaissance mineral? 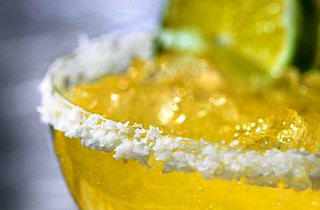 TRY THIS At Sixteen (401 N Wabash Ave, 312-588-8030), margaritas ($12) are lined with British Maldon sea salt. Bartenders at Moto (945 W Fulton Market, 312-491-0058) top its margarita ($12) with Himalayan pink sea salt or black lava salt; this is before, of course, they pour liquid nitrogen into a pot to freeze the drink tableside, then pour it into your glass.